CLARION, Pa. (EYT) – Free holiday parking is back on for Clarion Borough following Tuesday night’s Borough Council meeting. 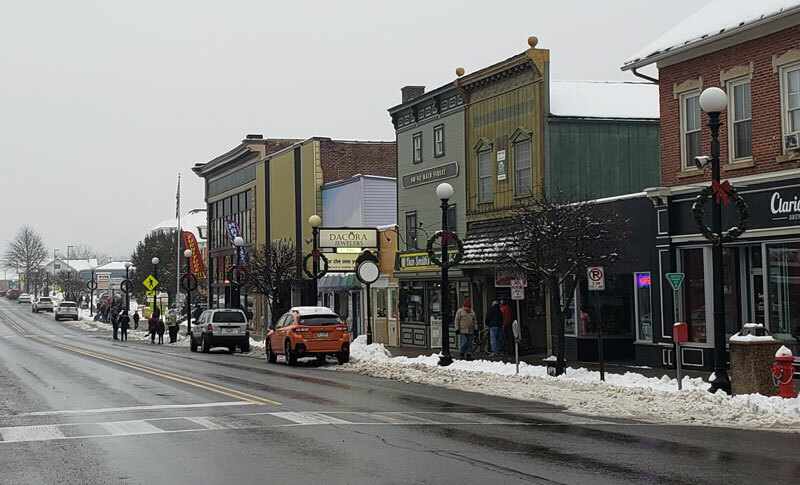 The free holiday parking that Clarion Borough has traditionally offered downtown was approved in a three to two vote. The issue was a topic of some discussion at last month’s Borough Council meeting after local businessman Jim Crooks brought up concerns of abuse of the free parking. Council member Ben Aaron noted that after the issue was tabled at the previous meeting, council members met with some downtown business owners to discuss the issue. “Any of the concerns we had were outweighed by them seeing it more as a benefit, even if it was taken advantage of in certain instances,” Aaron said. Council member Carol Lapinto noted that other methods for handling free parking, such as free parking only on certain streets, had been considered, but with the holiday fast approaching, implementation of something new simply wasn’t possible. “There were some good suggestions, but the fact of the matter is this is December 4th. It’s too late to change anything,” Lapinto said. Council members Rachel Roberts and Earl Zerfoss were the two dissenting votes. “I’m not against the free parking, but I’m against, right now looking at this, giving them free parking to return after Christmas,” Zerfoss said, noting that this year’s free parking runs through December 28. The proposed 2019 Clarion Borough budget, which does not include any changes in the taxes, was approved in a unanimous vote. The proposed expenditures in the 2019 budget come to $3,878,226.00 with the largest portion being the General Fund at 2,042,427.00. A full copy of the budget is available at the Clarion Borough office, the Clarion Free Library, and the Clarion Law Library located inside the Clarion County Courthouse. Public Works Foreman Doug Preston noted that the leaf collection within the borough is continuing as weather permits. The final day for collection will be this Friday, December 6. Those wishing to have leaves picked up are asked to call the borough to request collection. Appointed David Sentner to a three-year term on the Civil Service Commission to expire at the end of 2021. Appointed Barry Sweet to a four-year term on the Planning Commission to expire at the end of 2022. Appointed Karen Grosch to a four-year term on the Planning Commission to expire at the end of 2022. Appointed Mike Kalinowski to a three-year term on the Police Pension Committee and a three-year term on the General Employees’ Pension Committee to expire at the end of 2021. Approved Advisory Board for Leadership & Engagement’s Special Event Request for their Come Together Clarion 5K for 5 Causes Event to be held on April 13, 2019. Approved Delta Zeta Sorority’s Special Event Request for their Delta Zeta 5K to be held on April 6, 2019. Ratified reinvesting two Recreation Certificates of Deposits in the Amount of $10,000.00 each with accrued interest at the time of reinvestment to be deposited into the Recreation Savings Account. Approved reinvesting Capital Project Certificate of Deposit in the amount of $250,000.00 with accrued interest at the time of reinvestment to be deposited into the Capital Projects Fund.